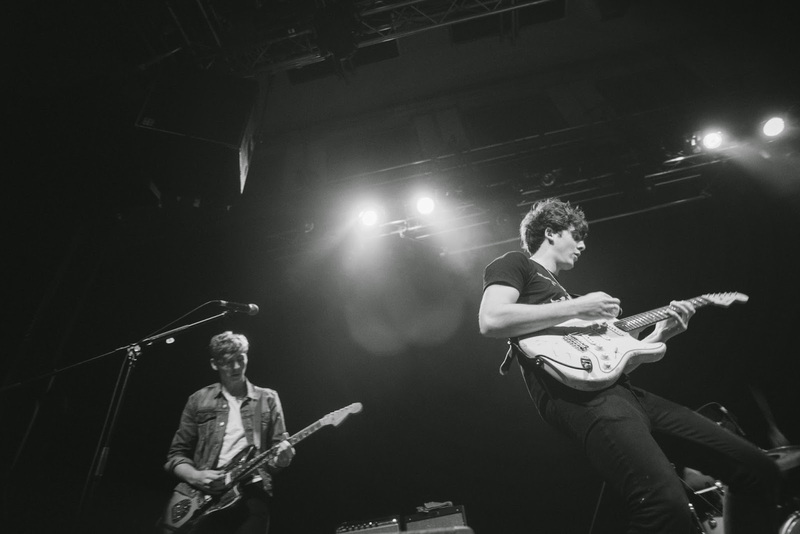 We’ve met Colin Jones and Joe Falconer from the band Circa Waves for an exclusive interview at the occasion of their show in Munich. Check out what they’ve told us about childhood heroes, their best moments on stage and a heated debate on Star Wars vs Harry Potter. Support came from the amazing Monday Tramps & tour support Sundara Karma! Head over to our facebook page to see all of the photos from the show. You’re on tour at the moment. How’s it going? Colin: It’s great. Really good. 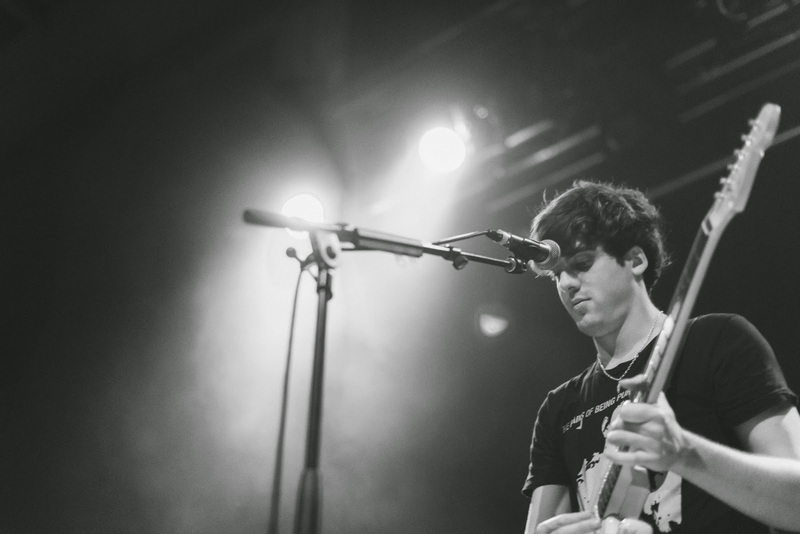 This is our fifth day into the European tour, we’ve come straight from the UK tour and it’s been amazing. Every day has been good. You’re back in Germany. Have you ever been to Munich before? Joe: This is our first time in Munich. We’ve played Southside Festival near here, but we’ve only ever done Hamburg and Berlin and we played Düsseldorf with Libertines as well. You’ve just released your first album in a time where almost everything happens online… You decided to release it on CD and vinyl – do you think it’s important to have a physical copy of your own work? Joe: I think so, even if it’s just for you, you know, to keep in your bookcase. Obviously CD sales are going down, but vinyl sales are going up. We cared less about the CD and more about having a vinyl pressing. But I think there’s still plenty of people out there who are buying physical copies, just far far less. You’ve supported some really cool bands. Is there any artist you would really like to go on tour with? Joe: You’re a massive Iron Maiden fan. Joe: I’d like to do a tour with… I don’t know, some sort of mega star. I’d like to go on tour with David Bowie. Cause he never tours anyway. He’d probably hate us, but that’s fine. Joe: I would say Tom Petty – Free Fallin. You know that scene from Jerry Maguire where he’s trying to find the right song on the radio and he starts playing on the dashboard…? Joe: When we were in L.A. we started driving around to ‘I love L.A.’ by Randy Newman and that’s become like a standard track whenever we’re driving in the car. Colin: And whenever we’re in Texas we just put on some country radio, which makes me happy. But no one else. Joe: While we’re in Germany, why not Kraftwerk – Autobahn. Done. Colin: A work of art!! Colin: I like the Harry Potter films as well actually, but I’d still pick Star Wars. What was the best moment you’ve had on stage so far? Joe: Mine was when we did our biggest UK headline show ever. Shepherd’s Bush Empire. We bought confetti canons for that show. I mean, the whole gig was incredible, but at the point where the confetti canons went off, I was just laughing to myself the whole time. Colin: My first London show with these lads, definitely. Or just stepping out and thinking of all the bands I had seen at Shepherd’s Bush with my Dad when I was younger. Like, is this really happening. Joe: I always enjoy when people fall over as well. On stage. In a really sadistic kind of way. I liked when you fell over the drum kit, that made me laugh. I think I enjoy seeing other band members fall over and try to play it off like it’s completely cool, that’s always fun. Who would you have to meet to be completely starstruck? Joe: David Bowie, definitely, Prince as well. Colin: Mine would be Michael J. Fox from the ‘Back to the Future’ films. He’s my childhood hero. I’ve been very lucky to have met a lot of my idols already. Joe: I just don’t wanna be the guy who walks up to them and says something, so I’d just stand there and act like I don’t care but in my head it’s just crazy like ‘I love you so much’ and you say ‘Hi, how are you? Is the food good? Cool, I think I’ll have some’. Are there any newcomer artists you would like to recommend? Joe: Yes. All the support acts we’ve had recently were very good. 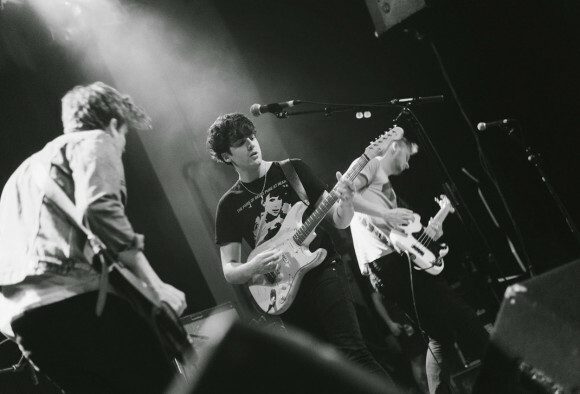 Colin: We had a support band on the whole tour called Gengahr and then in Manchester we had a support called Spring King. Joe: Sundara Karma are really good as well, and they’re dead young. Colin: Don’t get defeated when you get your first knock-back. Joe: We’ve been doing this for over ten years. Like, even though it seems like this band has been taking off really quickly in the UK, what you don’t see is the years and years of not doing anything. I think if you’re 14 or 15 every single person plays guitar, and everyone’s terrible, including yourself. Just keep playing, keep practicing, do nothing else, and eventually people who don’t really care that much will stop playing the guitar and what’s left is you and you’ve been doing it for so long that you’re hopefully quite good by that point and there’s not many other people around to compete with. Just don’t stop, listen to lots of records. Listen to everything, don’t be a snob. Take everything on board because you learn so much from everything.